We’re offering $5 admission to the Natural History Museum of Utah every day from December 1-9. 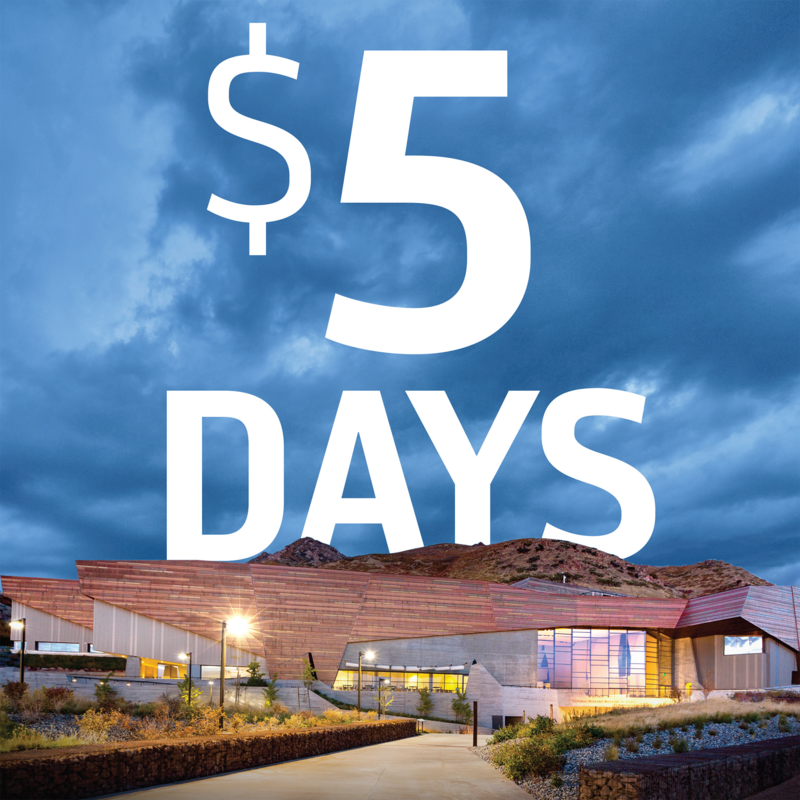 Regardless of age, you can visit NHMU for just $5! As always, children 2 and under are free. Offer not valid with other coupons. Discounted tickets will be available only at the Museum's admission desk from December 1-9.